← Friday Funny—How did they get there? Sorry, this was supposed to be published Monday. Guess I was sicker than I thought. 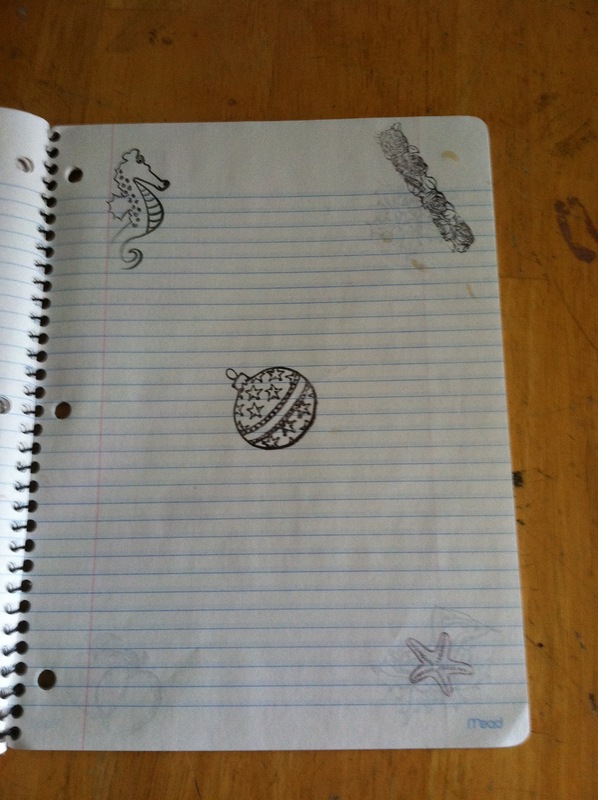 Lately, the universe has been showing me that I’ve been found lacking in my book notebooks. NOTE: the notebooks help me to brainstorm a scene, make sure the elements are there, and figure out that important first line and ending. It is also where I store my notes as the apps thing isn’t working out so well. It seems black and white is fine for apocalyptic books, but when it comes to the romance side, color is the preferred choice. These are my notes on how clockwork toys work and Big Ben. No, I’m not destroying London. My current Work-In-Progress (WIP) is about a haunted clock in France. And it’s a romance. But it’s pretty boring, and I wanted color. I thought about it for about 10 seconds and decided I would spend far too much time doodling so I decided I would stamp things that have nothing to do with the book on the pages. 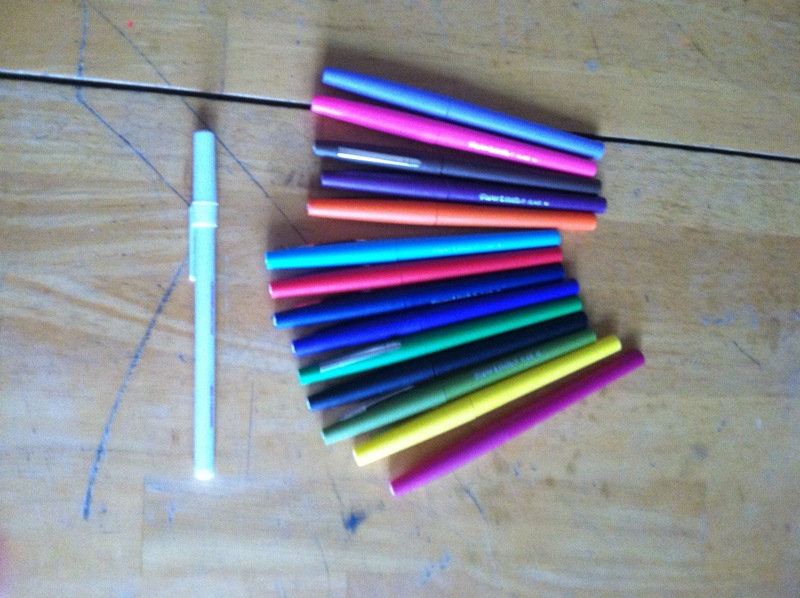 So I will color in the marks with my new markers. The slim white black ink pen will be stowed in my pencil box and I’ll use the last of my gel pens to bring more color to the pages. Note to self: buy more colored gel pens during the back to school sales! There will be color. And some writing, But mostly color, because who really ever gets tired of coloring? 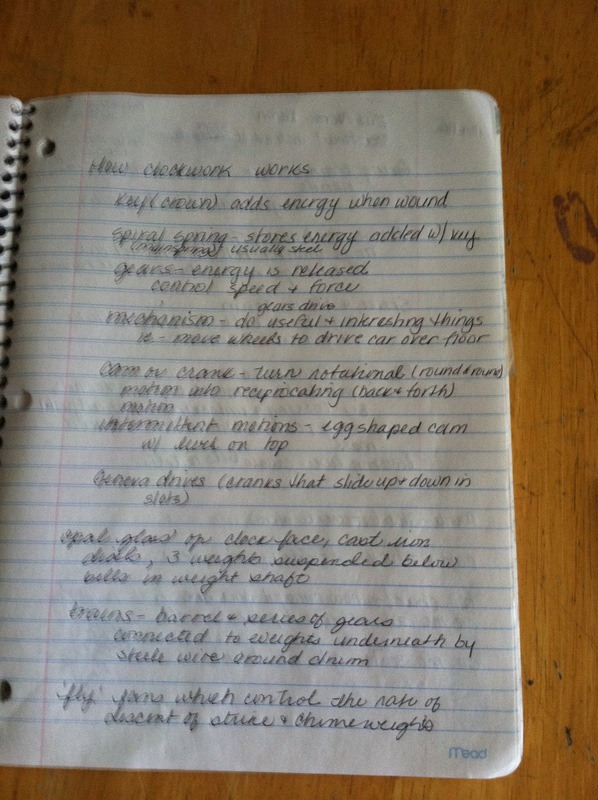 This entry was posted in Books, Crafts, Hobbies and tagged brainstorming, coloring, scrapbooking, writing prompts. Bookmark the permalink.